A state-of-the-art police custody suite which opened in Leeds just four years ago has been closed for urgent repairs. The 40-cell suite was built as part of West Yorkshire Police’s new £34m Leeds district headquarters at Elland Road as part of a controversial private finance initiative (PFI) deal. It was specially designed to stop prisoner suicides, while lockable boxes outside each cell for detainees’ shoes come complete with specially-made ducts to extract any odours. But The Yorkshire Post understands paint is now flaking off to such an extent that the cells are unusable, with construction firm Interserve having to fund and carry out the repair work. West Yorkshire Police has been forced to re-open old cells elsewhere in the city to house detainees, with no clear timetable yet available for when the work will be complete. Meanwhile, the 35-cell custody suite at another new police station, the Wakefield divisional headquarters in Havertop Lane, Normanton, also needs repairs, although the facility remains partially open. The Havertop station opened just five years ago as part of the same PFI deal. West Yorkshire Police’s Assistant Chief Constable Catherine Hankinson said: “The custody suite at Elland Road Police Station in Leeds is currently closed for urgent maintenance. “Temporary rectifications are currently being considered whilst a longer-term solution is being determined and developed by Interserve FM [facilities Management], who manage the building. She said the force had “put its contingency plans in place” by reopening old cells at Stainbeck Police Station. She added: “We have also recently re-opened cells at Pudsey, collectively providing enough capacity to cater for our ongoing requirements and fluctuating levels of demand. Interserve did not respond to a request for comment. The two stations were built by the company as part of a major PFI contract, along with a training facility at Carr Gate, Wakefield, with the projects costing a combined £113m. 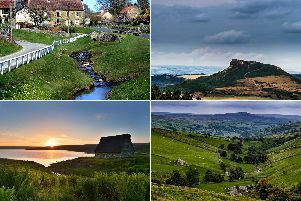 However, the ‘buy now, pay later’ deal will cost the taxpayer a total of £338m over 25 years, The Yorkshire Post revealed last year. The total cost of the project includes services such as pre-planned maintenance, repairs and cleaning. Some of the cost is being met by central Government funding. PFI deals have often proved controversial. Critics argue that the practice, which became widespread after Labour took power in 1997, is a more expensive way of funding public schemes than simply borrowing. But supporters say the contracts bring many benefits, with the private contractor taking on the risks involved with a major project as well as providing maintenance.